Happy summer! 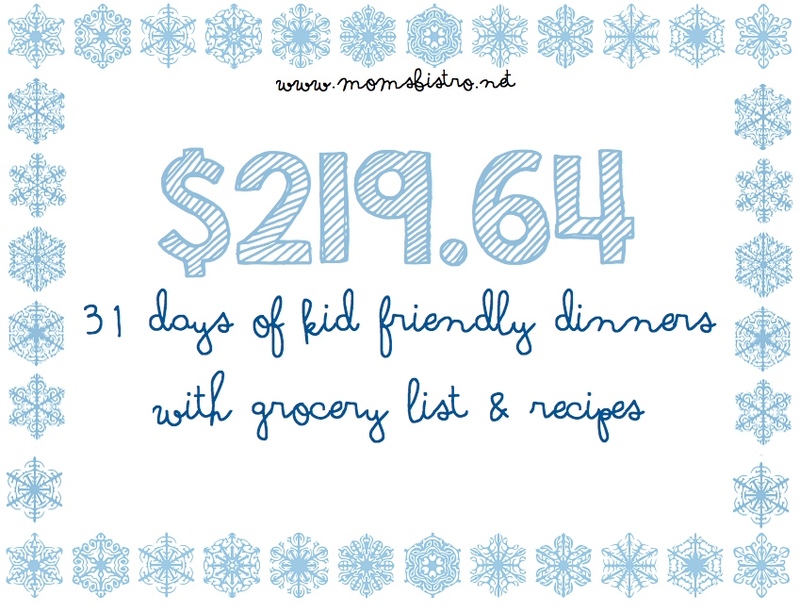 Always know whats for dinner with July’s budget menu plan. This kid-friendly menu is all ready for you. All you have to do is download, print and shop! Menu’s are proven to save you time AND money in the kitchen by giving you all the tools you need to make dinner! July’s no repeat meal plan has dinners for everyone. All of these kid-friendly recipes have been tested, on my boy, Anthony and on his friends and have passed all the tests! 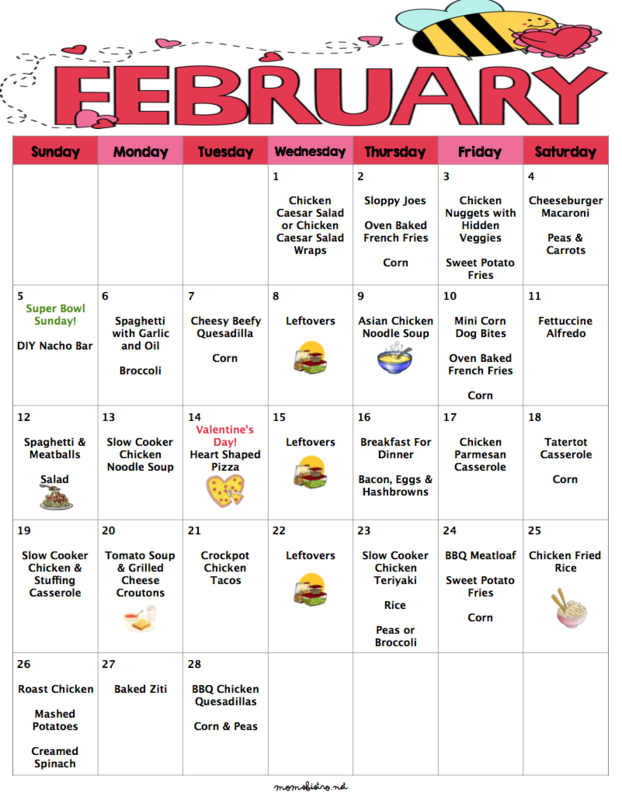 This meal plan feeds an average family of 4, allowing a day for using leftovers to create another meal, or just reheat. I have taken advantage of all of the great sales on produce this month. Our local Sprouts had chicken breast on sale for $1.77/lb so I bought a little extra for next month. Set aside an extra $30 a month for sales on ingredients that you use the most. For us, that is chicken breast, canned tomatoes, parmesan cheese and pasta. My spending for July was a little different. There is so much fresh food available right now, and our local farmers market is where I buy most of it this time of year. Prices are similar to Sprouts where I usually buy all of my produce, but it’s even better because it’s SUPER fresh and it helps support local farmers. Get the full spending breakdown with monthly and weekly breakfast, lunch and dinner menu that includes 5 weeks of meals, 39 recipes, printable lists, planning ahead tips, leftover suggestions and tips, kitchen staples list, a special 4th of July menu and more for only $4 in my Etsy shop. Below, I have also included a bulk grocery shopping list. All of the ingredients needed for July’s menu are included. Generally I do a big shop at the end of the previous month, and shop weekly for produce and weekly staples like milk, coffee cream and bread. July’s recipes are fresh and fun, and they leave plenty of room to customize to your family! To save the most, check your pantry and fridge before hitting the grocery store and check those items off of your list. Be sure to check staples to make sure that you have enough. For only $4 get the full kitchen essentials list to help you optimize your savings and simplify your shopping with July’s Meal Plan. Click the link below to get your FREE copy of July’s Budget Meal Plan. The premium version for July includes a 16 Page Meal Planner that has been revamped and now includes even more. Get a monthly and weekly breakfast, lunch and dinner menu that includes 5 weeks of meals, 39 recipes, printable lists, planning ahead tips, leftover suggestions and tips, kitchen staples list, a special 4th of July menu and more. I’ve done the planning, all you need to do is download, print and shop. I have only spent $320 planning July’s budget meal plan! That’s only about on average, $8 per meal or $60 a week to feed a family of 4. July’s Meal Plan includes 4 BONUS days of recipes!